This composite image shows the effects of a powerful shock wave moving away from the explosion. 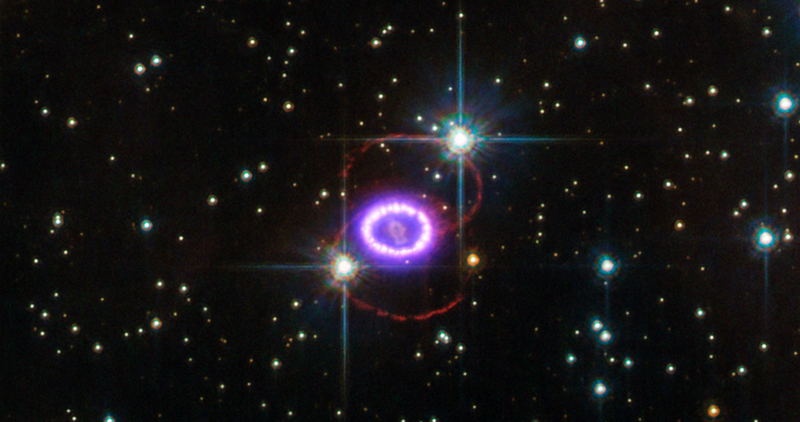 Bright spots of X-ray and optical emission arise where the shock collides with structures in the surrounding gas. These structures were carved out by the wind from the destroyed star. 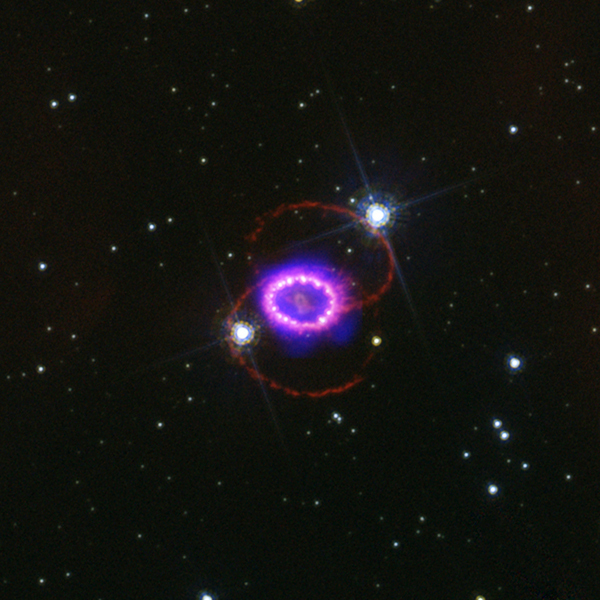 Hot-spots in the Hubble image (pink-white) now encircle Supernova 1987A like a necklace of incandescent diamonds. The Chandra data (blue-purple) reveals multimillion-degree gas at the location of the optical hot-spots. These data give valuable insight into the behavior of the doomed star in the years before it exploded. Scale Image is 12 arcsec across.